The film looks into the lives of Indonesian and Thai domestic workers who come to Taiwan expecting a better life. 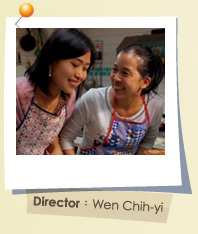 Just like the complex flavors of Nyonya’s cuisine, with a mixture of sour, spicy, and sweet - the film is filled with misunderstandings, conflicts, miscommunications, and reconciliation among ethnic Chinese, Indonesian and Thai people.Director Wen Chin-yi pre sent for Q&A. Taipei 24H divides 24 hours in Taipei into 8 shorts. 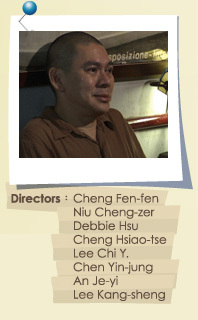 It opens with Cheng Fen-fen's upbeat and comedic "Share the Morning", and ends with Lee Kang-sheng running the final leg of this relay with "Remembrance" at 4am. Well-known director Tsai Ming-liang makes a rare appearance visiting a late night coffee shop. 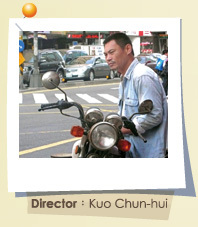 Taipei 24H is a contemporary urban chronicle of a city rarely at sleep.Director Lee Kang-sheng present for Q&A. 2009 Best Feature Film, HDFEST, U.S.A.
For 10 years, Professor Lin Tay-jou has read thousands of student journals, giving him insights into their turbulent lives. He invites three of his students to document their stories on film. Each one growing up with certain disadvantages, their childhood wounds have nevertheless made them better people as they have matured. The despondent Ding takes on odd jobs, barely supporting a son, a daughter, and his elderly mother. One day, Ding sees a job announcement for a groundskeeper at his son’s school. His mother encourages him to apply, while his son discourages him for fear of his classmates’ reactions. In the end, Ding must make a decision. Le Thi Tu leaves her home in Can Tho, southern Vietnam, for the first time in her life. She travels to Taiwan, a far-off and unfamiliar land to her. She is not alone in doing so since hundreds of thousands of immigrants throughout Asia take a gamble as a mail order bride. This documentary interviews immigrant women in 14 Asian cities and details their fight for equal treatment and immigrant rights. 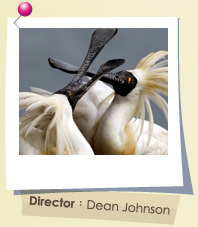 A beautiful bird only found in the wetlands of Asia, the Black-faced Spoonbill is magnificently captured in HD. Meet the dedicated individuals, around the world, who share the goal of protecting this endanger animal’s remaining habitats. A lovely young girl finds out that she has super power. If she closes her eyes and concentrate, she can make her wish come true. Instead of living a frustrating life, she begins to withdraw into her dreams more and more.